Skrim initially can be daunting – the key is to get used to the controls, which will become second nature as you get into it. There have been various updates since its release, your frustration with bugs will go down if you update. It still freezes and occasionally you will find your world fragmented so that you, for example, appear under the cave your in, falling to infinite depths. So save often. Though have to say that’s happened infrequently. As mentioned previously, you can with the hearthfire extension build houses and adopt children. They very occasionally find things for you and mostly cause noise and obstructions in the house. They fight and you can interact with them. 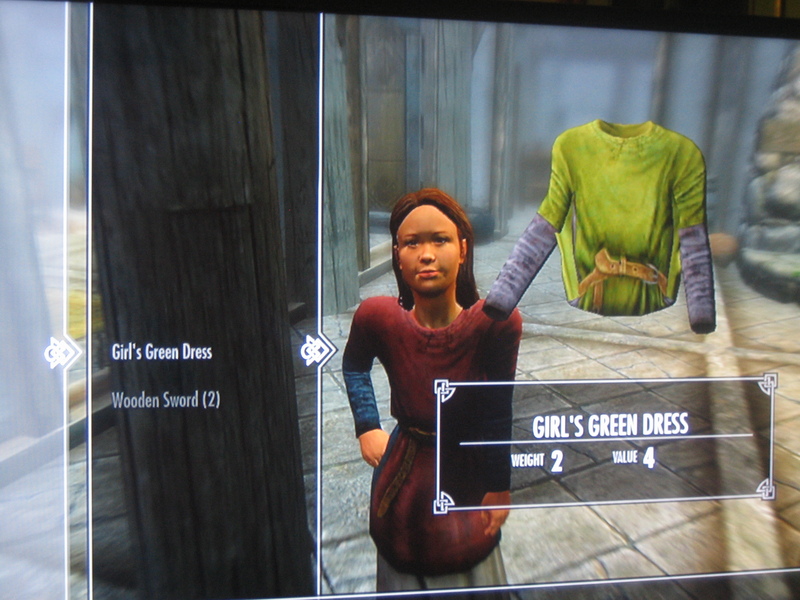 One annoying glitch still existing is when you adopt Sofie from windhelm, you cannot ever give her a present because the system thinks shes carrying too much. 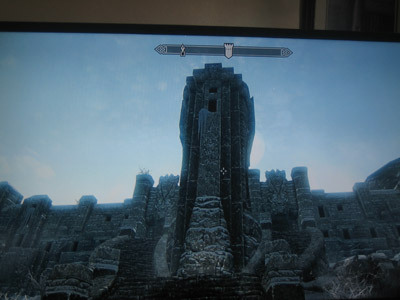 Ok bugs in general are listed on the skyrim official wiki so that all for bugs for the moment. D warven armour is probably my fav armour – if your smithing alot you can take it up to dragon armour however your spending alot of time smithing rather than “playing”. If you compare armour ratings and keep resmithing your armour then there is little point in smithing. This is a heavy armour, takes a bit of pounding which is what you want to prevent death early on.. 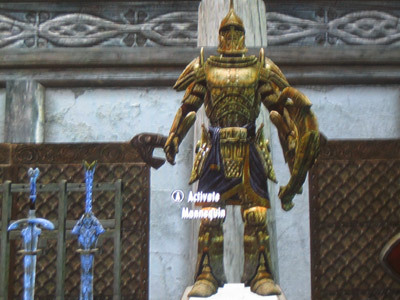 This is the thieves armour (light) which you can get after a few morally dubious quests in Riften. Yes, you will find yourself harassing people for money with threats, stealing and pickpocketing. And if you do this early on with little skills your likely to be in jail alot. Still if you leave it to later and pay for your skills then its a thrilling if immoral bit to the game. Oh and look carefully when caught by guards sometimes saying your “with the guild” is more expensive than the cost of coming clean. One of the best light armours. Augmented with void salts. 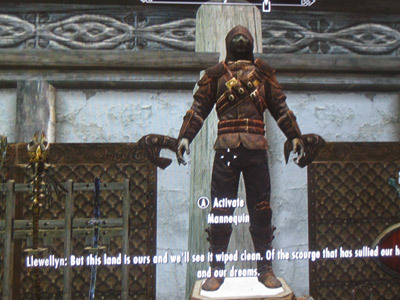 This you can get after being a thief and following the main quest line. To become a nightingale. Comes with some funky extra powers too. 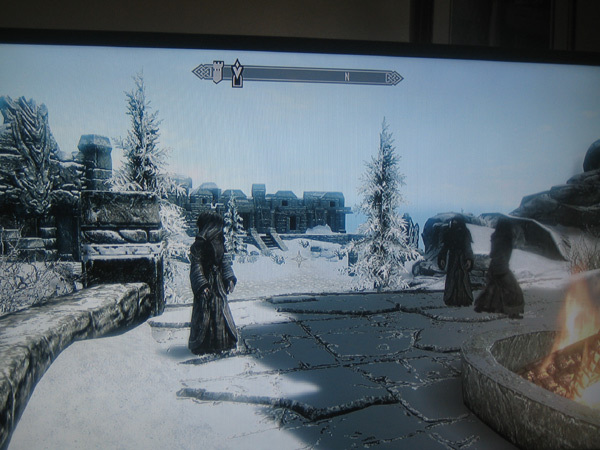 There are few outfits you cannot have, one being the outfit of the old buggers (the greybeards) on the top of the highest mountain called High Hrothgar. These guys are the ones that initially teach you some shouts, or later depending on how you play the game. Two points here – one shame you can’t join them…. and two you can’t steal pickpocket or otherwise get their clothes. 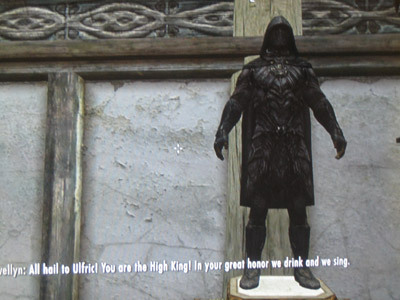 And You may think you the dragonborn is most dangerous… hwoever these guys constantly talk in dragon tongue without waiting.